What just happened? 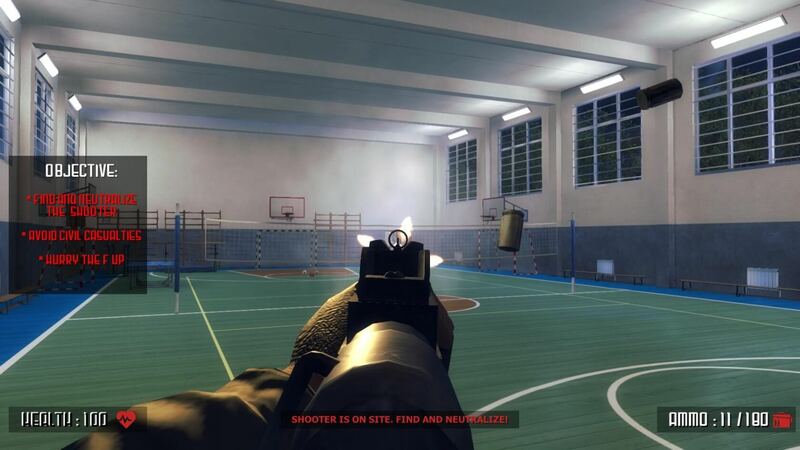 A video game called Active Shooter has been pulled from the Steam storefront. The game reportedly started as a SWAT simulator but recently added school shooting scenarios that allowed users to play as civilian, police, or shooter. The developer/publisher was apparently just one individual named Ata Berdiyev. According to Valve, Berdiyev had previously operated under the developer name Elusive Team and publisher name [bc]Interactive. Under those accounts, he released Fidget Spinner Simulator 2 and Piccled Ricc. Polygon reported that the latter game was pulled due to copyright violations, and his dev/pub accounts were removed from Steam. Active Shooter released only a few weeks ago, but on May 24, Berdiyev announced the addition of the new civilian and shooter modes with screenshots showing tallies of the number of civs and police killed. According to The Guardian, shortly after the update went live, an online mob formed asking Valve to remove the game. The movement was reportedly headed by Ryan Petty and Fred Guttenberg, who had children killed in the Parkland school shooting. The removal brings up hints of censorship and free-speech concerns. However, what most people forget about the First Amendment is that it only prohibits the government from interfering with an individual’s right to free speech. Private establishments can create and enforce as many rules against speech as they want, but it is a tightrope that many are careful to tread. "This developer and publisher is, in fact, a person calling himself Ata Berdiyev, who had previously been removed last fall when he was operating as ‘[bc]Interactive’ and ‘Elusive Team.’"
In this case, Berdiyev was not being prevented from creating his game. Valve was merely choosing not to sell it anymore. This was a business decision and nothing more. Berdiyev is still completely free to go peddle his less than mediocre “shovelware,” somewhere else. Did the public outcry influence Valve's decision? Sure, but that has little bearing on whether or not Valve has the right to choose which products it sells. It is the same concept behind the prohibition of AO-rated games. Stores are not forbidden to sell AO games; they simply choose not to.